Planning for your own death is uncomfortable, but being prepared can prevent heartache and financial distress for loved ones and heirs. I believe that the primary purpose of estate planning is to protect loved ones and to express your wishes on what will happen to you and your belongings. It’s relevant to everyone. Unfortunately, we have to plan for the worst and the worst can happen at any time. Simple estate and contingency plans help avoid a lengthy, inconvenient and expensive legal process when die or if you become incapacitated. Having the proper documents in place prevents the need for a guardianship, which can cost thousands of dollars. Depending on your assets, putting together an estate plan can take anywhere from a few hours to months as you think through any issues. Once finalized, these documents should be readily accessible by all persons who will help manage your business in the case of your incapacity and/or death. It’s good to let your loved ones know where the copies and original of these documents are kept. A will specifies to whom your money & assets go. 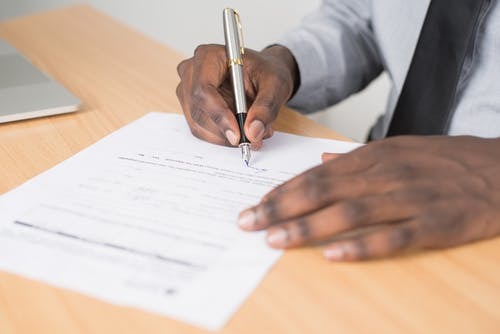 If you die in testate, or without a will, your property will be divided according to state law, either between your spouse and children or your extended family if you’ve no surviving spouse or children. If you’ve children, you can state in a will who you’d like to care for them if there are no surviving parents. Courts will put a lot of weight on your wishes versus another third person if there’s no other surviving parent-the ultimate say is decided by the judge. The will doesn’t include all your assets-beneficiaries named in a retirement account, annuity or life insurance policy supersede what’s in a will. If there’s no name, they’ll look at your will or state law. Having a living will and power of attorney designates a person to handle health care and financial decisions when you’re no longer able to. Advanced medical directive designates who can make health care decisions for you. These decisions include whether you’d like medical care and how much and when you want to be taken off life support, as well as autopsy, cremation and organ donation choices. If you don’t have a medical directive, your relatives will be left to decide these decisions for you-whether to keep you alive and where, how and if you’ll be buried. Once you have medical directives in place, makes sure the people named in the document have copies. Durable financial power of attorney. With this document, you can establish who would be able to write checks, manage property and take control of your finances if you’re unable to. The only thing a durable financial power of attorney cannot do is write a will or establish a trust. Since this is a contingency document, the person who signs this must give the other person permission to manage their finances. Durable means that it will withstand a mental incapacity, says Michel. If this was signed when you’ve no mental or physical issues, it’ll still be effective and legal if you become incapacitated. An estate plan should have a list of assets and account numbers to help the executor administer your estate. It used to be the survivor found out about the accounts by going through the mailbox, but this becomes difficult with electronic statements. Since medical records aren’t released to a spouse, signing a HIPPA form will help make changing physicians or dentists easier if you’ve a guardianship or aren’t physically able to get around. The release is a document that you would sign that would allow the hospital and doctors to release your medical records. The HIPAA release will also cut through a lot of red tape if the cause of death was in dispute.